Uncategorized - Scholl Law Firm, P.L.L.C. 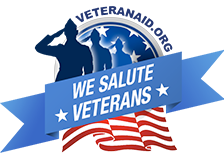 As a veteran of the military service, Attorney Scholl recognizes the contributions and sacrifices made by the members of our armed forces, as well as those made by their families. Therefore, in appreciation of their service, Scholl Law Firm, P.L.L.C. is now able to offer a military discount to servicemembers and their families. When meeting with Attorney Scholl, please ask about the reduced fees offered to military clients. Bicycling is becoming increasingly popular in Arkansas, be it for recreational riding along trails like the River Trail and Big Dam Bridge for recreation and fitness, commuting to work or shopping by bike, or more “enthusiastic,” fast-paced riding on the open roads. As the number of cyclists on the road increases, the potential for road user conflicts also increases. Usually conflicts between road users are caused by misunderstandings as the rules of the road and the responsibilities of each user. Motorists and cyclists both have rights to the use of public roadways, but with those rights come responsibilities. To help everyone understand their rights and responsibilities on the road, we invite everyone to view the following videos. We would like to extend a special thanks to Robert Mionske, of BicycleLaw.com for giving us permission to post these videos. (a) The driver of a motor vehicle overtaking a bicycle proceeding in the same direction on a roadway shall exercise due care and pass to the left at a safe distance of not less than three feet (3′) and shall not again drive to the right side of the roadway until safely clear of the overtaken bicycle. (b) (1) A person who violates this section shall be subject to a fine not to exceed one hundred dollars ($100). (2) A person who violates this section with the violation resulting in a collision causing death or serious physical injury to the person operating the overtaken bicycle shall be subject to a fine not to exceed one thousand dollars ($1,000) in addition to any other penalties prescribed by law. When a motor vehicle and a bicycle collide, the results can be tragic regardless of who may have been at fault. At Scholl Law Firm, P.L.L.C., we urge everyone to be courteous and safe on our public streets and highways. Often servicemembers or their spouses ask about a “military divorce.” While there really isn’t something called a “military divorce,” there are many special considerations that need to be made during a divorce when one or both of the spouses are in the military. When divorcing, some of those considerations are often the military retirement benefits of the servicemember; support of the servicemember’s dependents; continued access to commissary and exchange services; as well as access to healthcare. Your attorney should also be aware of what affect the Servicemembers Civil Relief Act (“SCRA”) will have on their case. In 1981 the United States Supreme Court ruled that state courts did not have the authority to order a division of a servicemember’s military retirement. In response, Congress enacted the Uniformed Services Former Spouses Protection Act (the “USFSPA”). Contrary to a common misconception, the USFSPA does not mean that a servicemember’s spouse is automatically entitled to a share of the military retirement, nor does it require that spouses be married for any certain length of time. However, the USFSPA did provide that state courts were permitted to treat military retirement the same as other types of retirement under that state’s law. Because state laws on the division of retirement benefits vary, it is important that you work with an attorney who is knowledgeable about military retirement and can help develop a strategy to protect your interests. It is important to know that while the USFSPA permits the divorce court to divide military retirement, there are some limitations. The court may nly divide the servicemember’s disposable retired pay. In addition, while the USFPA prohibits the division of retired pay that has been waived in order to receive disability pay there are many complex rules which affect whether or not the spouse of the retired servicemember may continue to receive a full share of the retirement even when the servicemember is collecting disability. In the divorce, you should also discuss with your attorney the Survivor Benefit Plan (“SBP”) and Thrift Savings Plan (“TSP”) benefits. Other benefits may be available to the spouse, based upon whether they meet the “10/10,” “20/20/15,” or the 20/20/20” rules. Like any divorce, each case is different. We invite you call Attorney Scott Scholl at 501-588-3356 today to schedule a time to discuss the unique needs of you and your family. The role of grandparents in our society is quickly changing. Sometimes grandparents are faced with the dilemma of needing to step in to care for their grandchildren when the parents are either unable or unwilling to care for the children – whether due to drug addiction or alcohol abuse, incarceration, abandonment or any number of reasons. Other times, grandparents are pushed out of their grandchildren’s lives after the parents have divorced or when a parent (the grandparent’s child) dies and the custodial parent no longer allows the grandparent time with the child. Attorney Scott Scholl has the knowledge and experience to protect the rights of grandparents. In 2000, the United States Supreme Court made a decision in the case of Troxel v. Granville that had a profound impact on the visitation rights of grandparents, not only in Arkansas but across the nation. InTroxel, the Supreme Court struck down a Washington statute that provided that any interested person could be granted visitation rights whenever the visitation was in the child’s best interests. The reasoning of the Supreme Court was that the due process clause of the Constitution prohibited the states from interfering with the fundamental right of parents to make decisions concerning the care, custody and control of their children, to include those persons with whom the children are exposed. However, Troxel did not bring an end to the rights of grandparents to seek visitation with their grandchildren. As a result of Troxel, and the cases that followed, Arkansas redrafted its grandparent visitation statutes to allow a grandparent to seek visitation under certain circumstances when they have established a significant and viable relationship with their grandchild and it is in the best interests of the child for visitation to occur. Attorney Scott Scholl has the knowledge and experience to protect the rights of grandparents. If you are experiencing problems with being able to maintain a relationship with your grandchildren, call 501-588-3356 for a free consultation to see how we can help.